The recent natural disasters in Japan have left the country focused on being as prepared as possible for the next event. 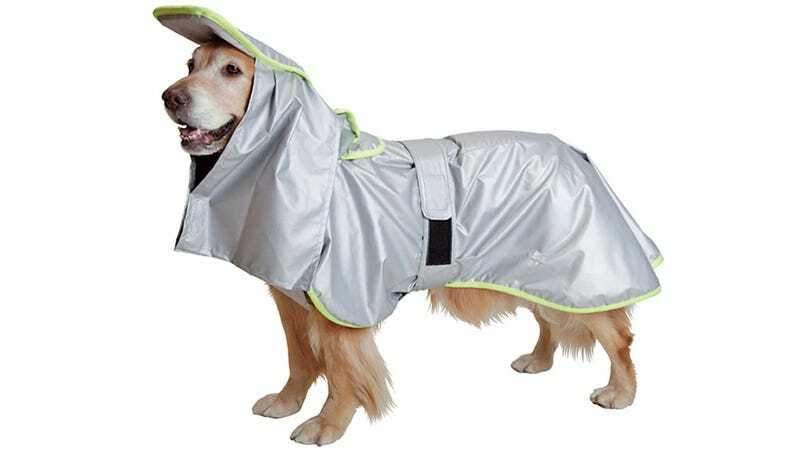 And that even includes ensuring man's best friends have everything they need to survive an emergency situation, including this elaborate coat that protects dogs from fire, freezing temperatures, and even falling debris. Reflective fire-retardent fabric ensures leaping flames and falling sparks stay off your dog's body and fur. And the material also works as an effective insulator should you and your dog need to escape outside on a frigid night. For larger debris, your dog's head and neck are protected by a half-inch of shock absorbing foam which extends over their eyes as well.